What are the Rebenching Task Force recommendations? · The fundamental recommendation is to allocate state funds to the campuses on an enrollment basis. Several key principles, both academic and budgetary, underlie this recommendation, most already proposed by the Academic Senate in the Implementation Report (August 2011; see the hyperlink for the full document). The state subsidy per student should not depend on the campus the student attends, only the type of student; this recommendation follows from our core value that UC is one university with one standard of excellence at its ten campuses. The cost of a UC-quality education is the same on every campus, and the campuses should be funded accordingly. · Per-student funding will be distributed on a weighted basis by type of student (undergraduate; master’s students, academic and professional; PhD students; health sciences students). Weightings recognize that it costs more to educate a doctoral or medical student than an undergraduate. Rebenching will be implemented so as to bring all campuses up to the current highest level of per-student funding, currently UCLA. We note that this amount is estimated at $6413, which falls far below a reasonable estimate of the subsidy needed to cover (along with tuition net of financial aid) the actual cost of a UC education. This amount is derived from currently available state funding divided by students on the campuses – thus it reflects the current level of funding from the state, not any desired level of funding that would achieve the level of quality to which UC aspires. The Task Force specifically chose to set its target at the maximum level of per-student funding currently observed---already inadequate---rather than an even less desirable outcome, such as moving everyone to the current average per-student allocation. Additional details are provided in an appendix below. · To determine the total available state funding, selected units are funded “off the top”. 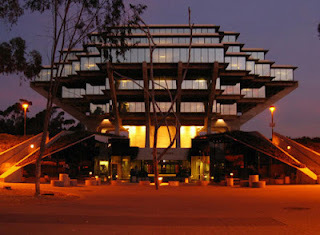 Some of these off-the-top allocations reflect systemwide priorities that have no relation to the number of students on the campuses where those units reside—the Agricultural Experiment Station, Neuropsychiatric Institutes, and Mental Health Teaching Support—as well as allocations to two campuses, UC Merced and UC San Francisco. Merced is an outlier due to its size, while San Francisco is an outlier because it has no undergraduates. It is an open question as to how either campus would fit into the same framework as the other eight campuses. Finally, $15M will be allocated to each campus as a “fixed cost set-aside”. · The transition to this new allocation model should occur over a six-year period, using “new money,” that is, through increases in funding provided by the state, rather than by redistributing current base budgets. A majority of the Task Force preferred a fixed adjustment period over delaying the process until sufficient new state funding was available. However, in recognizing that alternatives need to be in place when the budget is cut or flat, a second source of funding would be savings from reducing allocations to systemwide units. A third option would be reductions in allocations to the best-funded campuses. · There will be a penalty if a campus falls below its undergraduate resident targets. As the Senate proposed, an undergraduate at one campus will be allocated the same amount of state funding as an undergraduate on any other campus; this funding would be provided only up to a targeted enrollment; campuses receive tuition only for any students above their targets. If a campus were to fall below its targeted enrollment of resident undergraduates, it would give up the per-student allocation plus an additional amount, currently suggested to be an additional 50% of the per-student allocation. The mechanism recognizes the financial incentives campuses have to enroll non-residents as a revenue source, the disproportionate ability of campuses to attract non-residents, and the possibility that UC could lose its capacity to accommodate all eligible residents as the number of non-resident students grows. To address these incentives, and the need for eligible residents displaced at one UC campus to be accommodated at another UC campus, the Task Force proposes some sort of penalty; for instance, campuses that fall more than 1% below their resident enrollment targets will lose state funds at 150% of the per-student state fund allocation for each student below the target. A provision such as the 1% margin is intended to recognize that campuses cannot predict with certainty how many students will accept offers of admission; allowing some margin, and perhaps basing the calculation on a three-year moving average, avoids creating the incentive to over-enroll, simply to reduce the chances of falling below an enrollment target due to unexpectedly low rates of acceptance. · The recommendation to enforce resident enrollment targets requires an updated UC long-range enrollment plan that will be designed next year. The success of rebenching rests on the development of a long-range enrollment plan, but little information about this plan has yet appeared. Therefore monitory the details and ensuring the timely completion of the enrollment plan will be critical. A full systemwide review of the rebenching report must be undertaken as early as possible in 2012-13. On-going assessment and review will be needed to ensure that rebenching outcomes are realized. The principle of one student/one level of support has been putatively accepted by the Rebenching Task Force, but the delay in producing a report to be submitted to President Yudof and reviewed systemwide is alarming. The most destructive delaying tactic is the repeated objection, voiced by those who mischaracterize rebenching primarily as a policy of redistribution, that rebenching will be divisive, pitting haves against have-nots, the flagships versus foundering ships, and larger and older campuses versus the younger and smaller. These terms are simply synonyms for the fragmentation of the UC system by campus self-interest. By failing to enact rebenching in tandem with funding streams, the UC system would sustain the disparities in funding across the campuses that characterize the status quo, which President Yudof has publicly recognized as the outcome of a long history of ad hoc budgetary decisions. Rebenching may also turn out to be the university's most significant response to the ongoing budget crisis of the last twenty years—and the single largest reform tool the university has in its direct control. The Rebenching recommendations are the best, and perhaps only, answer UCOP has to outside criticisms from the Bureau of State Audits last year and, more recently, to growing concern over privatization/non-resident students. However, campus short-term self-interest may still trump the good of the system as a whole. The entire UC system stands to gain from facilitating the enrollment of additional non-resident students while still ensuring that the University enrolls resident students in numbers sufficient to meet UC’s obligations under the Master Plan. Without the enrollment-based mechanism for additional funding for campuses that take on those obligations, the University as a whole stands to lose, and risks further withdrawal by the state from its role in partnership with UC. Unfortunately, enacting the funding streams policy without rebenching has intensified the differences in campus self-generated revenues, and only strong leadership from the President can guarantee immediate implementation, successful completion, and ongoing oversight and assessment of the progress toward rebenching goals. Now is the time for the UC community to engage in open discussion and active support of the rebenching recommendations. The process of systemwide review, still undetermined, will be critical to the outcome of rebenching. How exactly do the calculations work? The next step is needed only because we have not yet moved to a new model. On each campus, a calculation of per-student funding is made. Net state funding, deducting off-the-top items from campus “base” budgets, is divided by campus enrollment to calculate per-student funding. If the campus with 30,000 for its enrollment figure had been receiving $150M in state funds, its per-student allocation would be $5000. The campus with the highest per-student allocation currently is UCLA, at $6413. (The Davis campus is slightly below UCLA, and every other campus is below $6000. Irvine and Santa Barbara are below $5000.) This amount becomes the targeted per-student funding for every campus. The long-run recommendation for the rebenching model is to bring each campus up to the per-student allocation of $6413, first using new money, then cuts to systemwide programs, if necessary, and finally, cuts to the best-funded campuses, if necessary. The system would need $222M to bring all campuses up to the UCLA figure, at current “budgeted enrollments.” However, the rebenching recommendations assume (and depend upon) an updated UC long-range enrollment plan that will set new targets for 2013-14. Allocations for 2012-13 will use the current shares of weighted enrollment, using budgeted enrollments. As long as a campus enrolls its targeted figure or more, for each type of student, these funds are provided. Students above target bring no additional state funding, only their tuition net of return to aid. Non-residents are included in every target except undergraduates, where only California residents are included. Finally, the Task Force recommends a penalty for falling below target. When a campus falls below its resident undergraduate target, for instance, it gives up the state funding associated with that number of students, plus a penalty. One proposal is for the penalty to be the return of an additional 50% of the per-student allocation, for each student below the target. That amount could be used to induce another campus to increase its target enrollment. Since campuses experience variation in their “yield rates”, it is envisioned that something like a three-year moving average be used for enrollments, and perhaps a 1% margin before state funds are reduced. 1. We anticipate that the concept of a penalty will be controversial and perhaps also misleading. The Senate anticipated that the University would initially base funding on past campus enrollment targets, and that campuses might seek to drop below those targets, in which case there would be a need to address the amount of state funding they would give up as a result; hence the penalty. A different problem may arise when the campuses are free to propose new, and in some cases, lower targets in the 2012-13 process: the sum of nine campus targets may well fall short of the number of resident students the University would like to enroll. Even 150% of $6413 is a relatively small penalty when compared to the non-resident supplemental tuition received from displacing a resident undergraduate student with a non-resident student. The campuses stand to gain over $10,000 per student from such a substitution. If they displace a resident undergraduate who is above the target, under the proposed model, they give up no state funding at all. When the campuses propose target enrollments, their aspirations for residents relative to non-residents may not be compatible with the system’s overall target for resident undergraduates. A higher “price” may be needed to induce a campus to expand resident enrollments. 2. The process for making allocations to UCM and UCSF is not yet settled. It is anticipated that they would share in augmentations, and UCSF would share in cuts, but by a smaller percentage than other campuses. The Rebenching report includes a proposal for UCSF, but it was not reviewed by the Task Force itself. 3. There has been no review of the off-the-top amounts. We anticipate that these will seem increasingly unaffordable, when judged against the level of per-student state support that current funding permits. 4. The proposal is to gradually bring the other campuses up to UCLA’s level of per-student funding, over a six-year period. With augmentations in state funding in each year, one option would be to allocate 80% to the campuses based on enrollment shares; UCLA would participate fully. The remaining 20% of the funding could be allocated to those campuses with per-student funding below the highest level. Each campus could receive 1/6 of its gap with respect to UCLA, or the funding could differentially target the campuses that were further below the highest level, in that year. The 20% figure comes from a forecast for new state funding from earlier in the spring, and the cost of allocating 1/6 of the amount needed to each campus. All of these figures are provisional. The Task Force favored a fixed adjustment period of six years over the alternative of delaying the process, in the event of cuts in state funding. In that case, when cuts were allocated, they would, in effect, have to be allocated differentially, to allocate the cuts proportionally, in one step, while also bring the campuses closer together in the other. No specific examples have been modeled, nor have offsetting actions been modeled---such as expanded non-resident enrollments or tuition increases to replace additional reductions in state funding. 5. These weights may not be the best choices; they seem likely to draw criticism. 6. The per-student allocation of $6413, when coupled with tuition net of return-to-aid, falls well below what UC would say is a reasonable marginal or average cost figure for delivering the curriculum at a level of quality that UC seeks to maintain. The Senate had advocated using a higher figure, along with a determination that a certain percentage of students are unfunded, by our measure of costs. This model serves to allocate state funds without such a calculation, but it should not suggest that costs are covered by such a small per-student allocation.